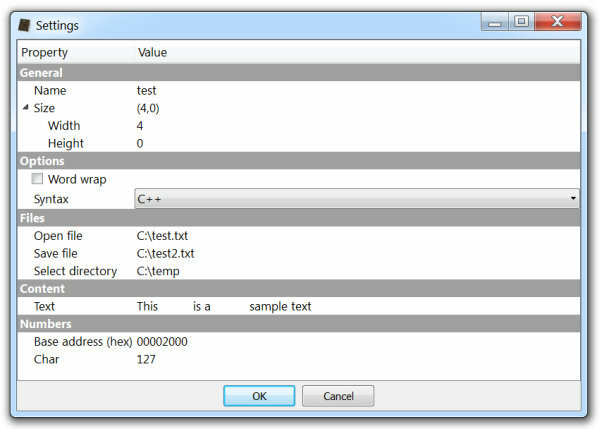 As it is easy to guess, this basic script shows a message box. 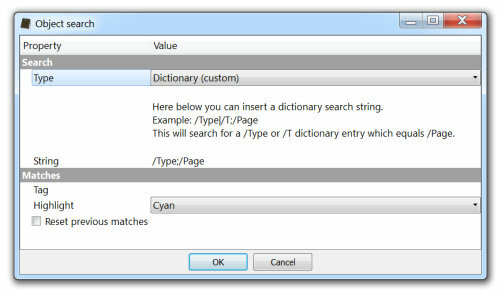 Message boxes can be used to notify things to the user or to ask him a question. Most of the time they won’t be necessary and the standard output can be used instead. 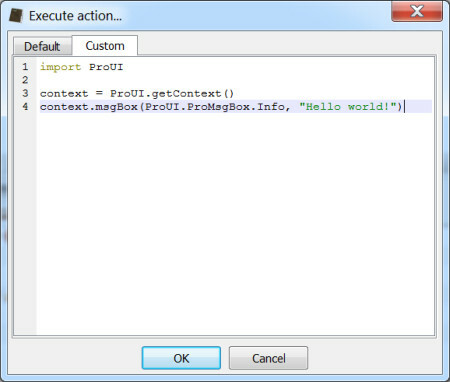 All the output produced by Python will be visible in the output console. In fact, the console will become visible when something is printed to it (this behavior can be changed from the options). Python actions are defined in the config/actions.cfg file. 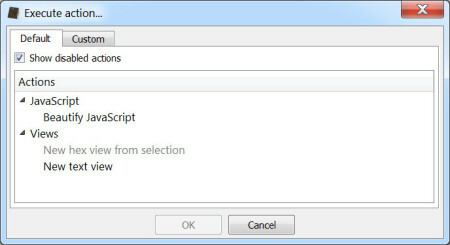 The section name (JSBeautify) specifies the id of the action and is also the name of the function to be called in file. 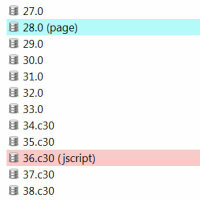 The file field supports absolute paths as well, otherwise the script will be loaded from plugins/python. 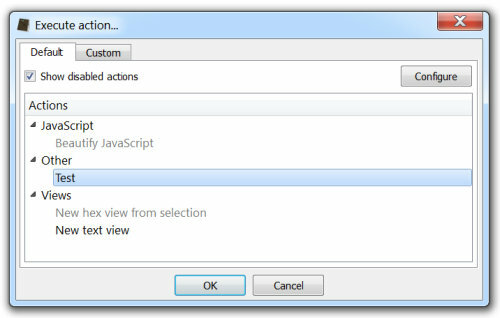 The category and label specify in which category inside the execute action dialog the action should be grouped and its description. When the category field is omitted, it will default to “Other”. The context field is very important as it specifies when the action should be available for use. 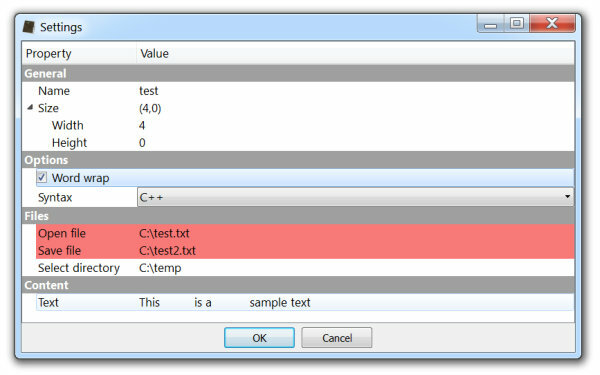 In this specific case, the action can be used in any text view. An action can also be available in more than one context. 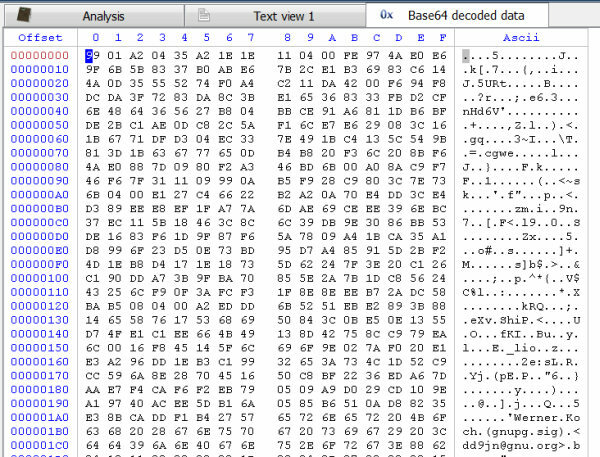 Now let’s see how to create an action which decodes some selected text from base64 and shows the decoded bytes in a new hex view. First it is necessary to define the action. And here’s the Python code. Let’s see it in action with a PGP public key.